This is DIY project #3? #4? I don’t know. This whole “If you give a mouse a cookie” scenario opened a can of nasty worms when I endeavored to un clog the sink. Simple enough, right? 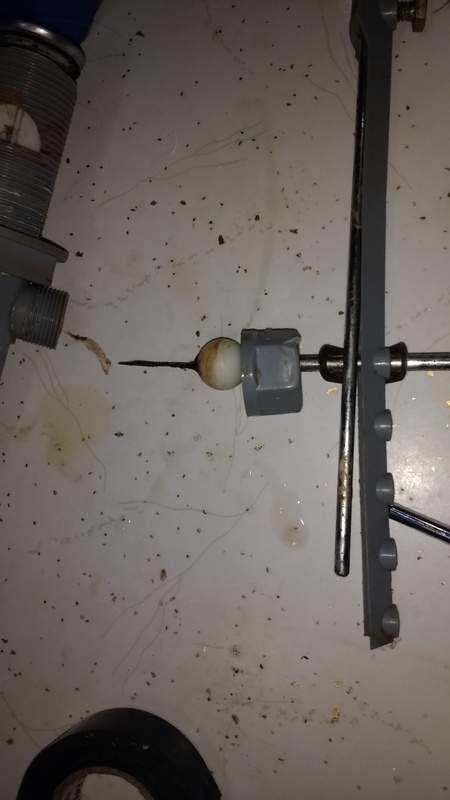 Theoretically, all I had to do was remove the drain assembly, clean the wig of hair and slimy gunk off the drain plug, and reassemble it. Then I removed the elbow joint of the drain and cleaned it out. The good news is that I removed the clog and the sink drains again. The bad news is, I need a new drain assembly. So, I thought, well okay that’s an easy enough fix. A drain assembly is like $8 at Lowe’s. Then I went to the other sink. Because I can’t just leave well enough alone. My side of the sink, or I guess my sink in my side of the bathroom counter doesn’t have hot water. Useful, I know. The hot water is shut off under the sink because of a persistent drip. 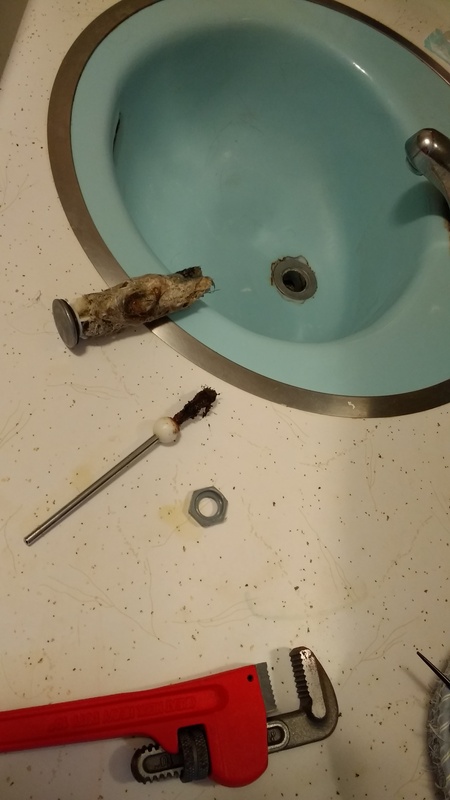 Well, I thought I’d be a wise one and take off the faucet handle assembly and check to see if it was the O rings that needed replacing… Turns out, the whole faucet has to go. 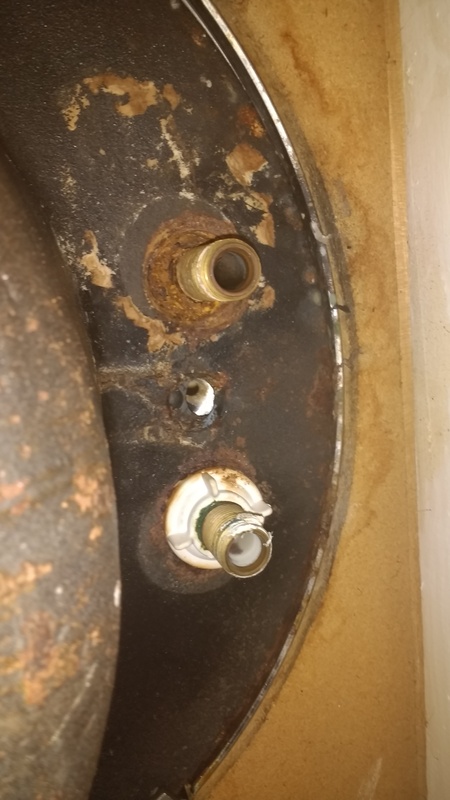 As well as the drain assembly of MY sink because it’s clog and refusal of the drain plug lever to move was also caused by extreme age and corrosion- the valves are completely shot. 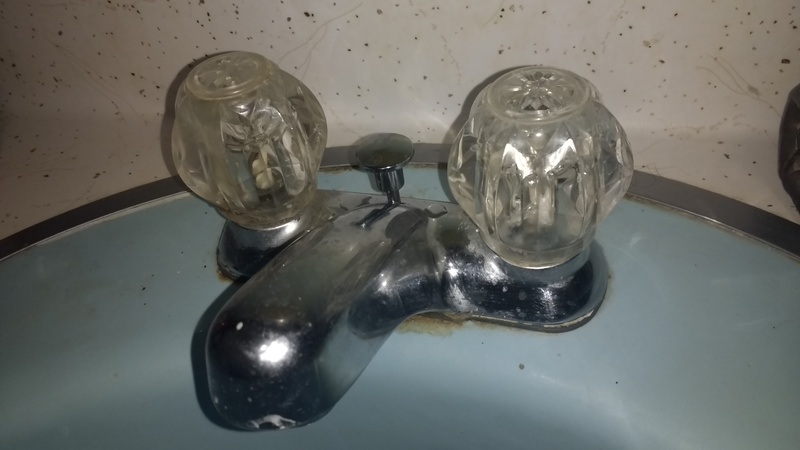 I couldn’t get the washers off that hold the faucet in place. So I need a basin wrench. Such is life though, right? I mean my faith is like that much of the time. I start off attempting a little meditation or “house cleaning” and God isn’t satisfied with my quick clean- he wants to remove and replace. 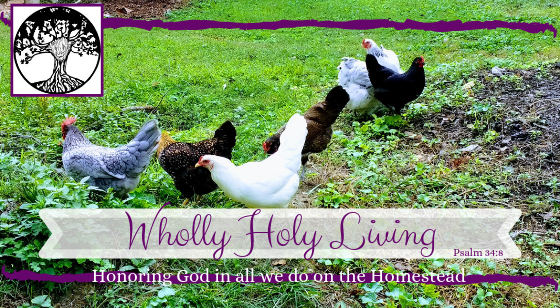 The point is that spiritually, I’m finding that I live in a run down, decrepit house (much like my literal house.) But God is a Master builder/plumber/carpenter/mason and he wants to do a full-out remodel on my life. I start small and pray trusting Him to lead me, and He moves bigger than I ever thought was even necessary. 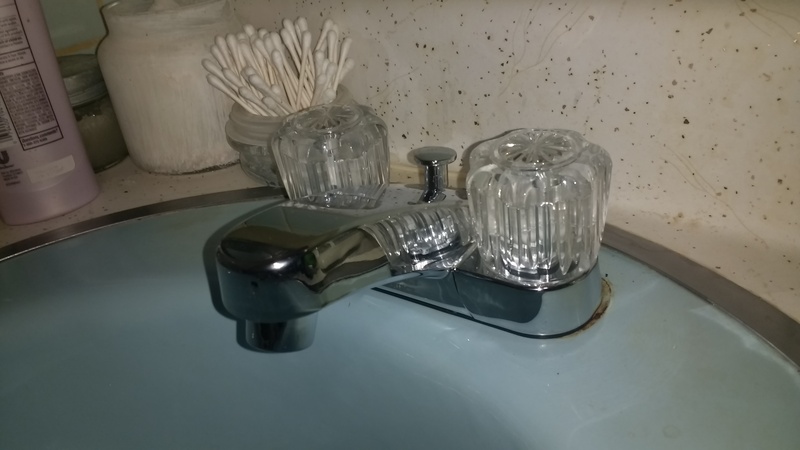 The good news is not that I can fix my bathroom sinks (I mean, it is good news, but not THE good news) but the good news is that the Lord isn’t finished fixing me yet, and He won’t be until I sparkle and shine and function like these new sink fixtures. I am sure of this, that He who began a good work in you will carry it on to completion until the day of Christ Jesus. And that is enough to motivate me to finish strong, whether in life, or in accidental plumbing projects.